Smith Freed Eberhard Partner Ryan McLellan recently obtained a very favorable settlement after moving for a directed verdict against in an equine on the grounds that she had not established causation or damages during the presentation of her case in chief. Recognizing that the motion for directed verdict would likely be granted, Plaintiff’s counsel accepted a minimal settlement offer that was roughly 80% less than her pre-trial demand. The case arose out of the foaling of a horse. Ryan’s client operates a horse training and foaling facility. The owner of the horse hired Ryan’s client to “foal out” her horse. This generally includes monitoring the horse’s pregnancy and assisting with the delivery of the foal if needed. 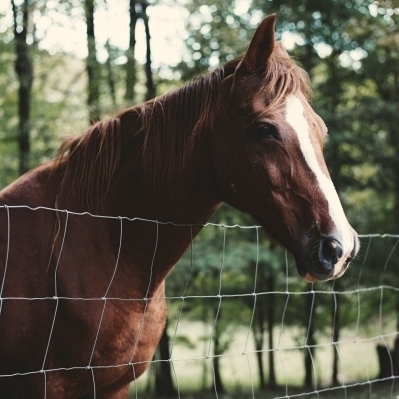 Roughly a month after the horse was delivered to the client’s facility, an employee of the client discovered that the horse had unexpectedly gone into labor. The employee called the foaling attendant, who lives on the property, who arrived within a few minutes and determined that the foal was in an abnormal posture. As a result, the foal was stuck. The foaling attendant corrected the abnormal posture, then worked with two other employees to get the foal out of the horse. For unknown reasons, the foal was delivered stillborn. The client called the owner to let her know about the stillborn foal. Critically, the owner did not authorize a necropsy to be performed. The client then called a veterinarian to come and examine the mare. The horse was subsequently moved to another boarding facility. Ryan’s client filed a lawsuit against the horse owner seeking approximately $1,000 after the horse owner failed to pay her bill. The horse owner responded with a $65,000 counterclaim alleging that the foaling facility had been negligent in various respects, resulting in injury to the horse and the death of the foal. Of this amount, $15,000 was based on past, and future veterinary expenses and $50,000 was based on alleged loss due to the death of the foal and injury to the horse. The horse owner also asserted claims of breach of bailment and violation of Oregon’s unfair trade practices act. The unfair trade practices act allows for a claimant to recover their attorney fees if they are successful. In essence, the horse owner alleged that some language on the client’s website was misleading with respect to how often the horse would be monitored and that the failure to monitor the horse as represented in the website statements caused the horse’s injuries. The horse owner’s attorneys took a scorched earth approach to the case, threatening and filing a litany of motions and initially holding back discovery documents in response to requests for production (and presumably incurring significant attorney fees). The case required the parties to take many depositions, including the depositions of multiple veterinarians that had treated the horse. The horse owner’s attorneys took the position that due to injuries sustained during the foaling, the horse could never have foals again. As a result, they took the position that the horse’s value was now essentially zero since her true value before the incident had been as a broodmare. Meanwhile, the horse owner’s attorneys refused to engage in meaningful settlement discussions. As trial approached, Ryan lined up various witnesses to testify in support of his client’s conduct. This included the client’s veterinarian as well as several of the client’s competitors. Ryan also retained a veterinary expert with a background in criminal horse abuse cases as well as a horse appraisal expert to discuss the loss of value allegations. Both experts testified well, particularly the veterinary expert (who supported the client’s conduct and challenged the horse owner’s assumption that the horse could not have foals again in the future). Meanwhile, during cross-examination of the owner’s veterinary expert, Ryan effectively forced the expert to admit that she had not actually practiced veterinary medicine for several years. In addition, included in the expert file produced to the defense team prior to the expert’s testimony was an outline of questions (with answers) prepared by the horse owner’s attorney, as well as the expert’s handwritten notes. The expert testified that she had provided most of the answers in the outline, but had to admit that she had not provided all of the answers. The basis for a directed verdict came when the defense team realized that the owner’s experts never testified that the opinions they expressed were based on a reasonable degree of certainty in their respective fields. Critically, the veterinary expert never testified that her opinion that Ryan’s client had caused the death of the foal or injury to the horse was based on a reasonable degree of medical probability. Meanwhile, the owner’s legal team never presented testimony that the veterinary expenses being sought were reasonable and necessary. The judge frustratingly denied the motion with respect to the unfair trade practices act claim but granted it with respect to the veterinary expenses (thereby striking $15,000 from the owner’s claim). Meanwhile, the judge stated that he needed to review the record, but indicated that he was inclined to grant the motion on causation grounds if the owner’s experts had, in fact, failed to say the “magic words” during their testimony. Thereafter, Ryan presented a minimal settlement offer to the owner’s attorney. Realizing that they had failed to lay the proper foundation for the expert’s opinions, the owner quickly accepted the minimal settlement. Given that there was significant attorney fee exposure to the client if the judge were to have determined the unfair trade practices act could go forward and the owner prevailed on that claim, the settlement was a great way to cap the risk.